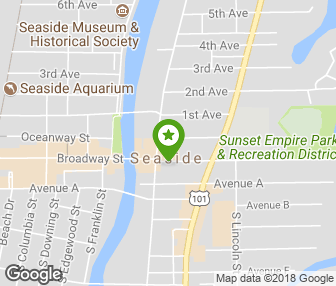 Seaside First Saturday Art Walk. March 5th. 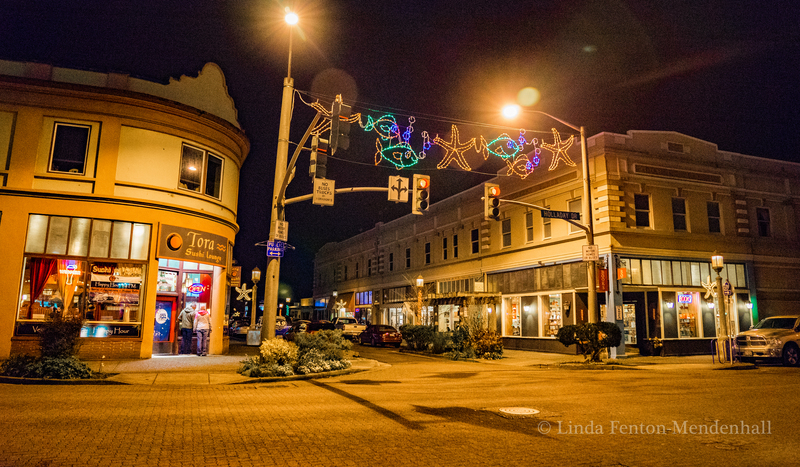 In the historic Gilbert Block. 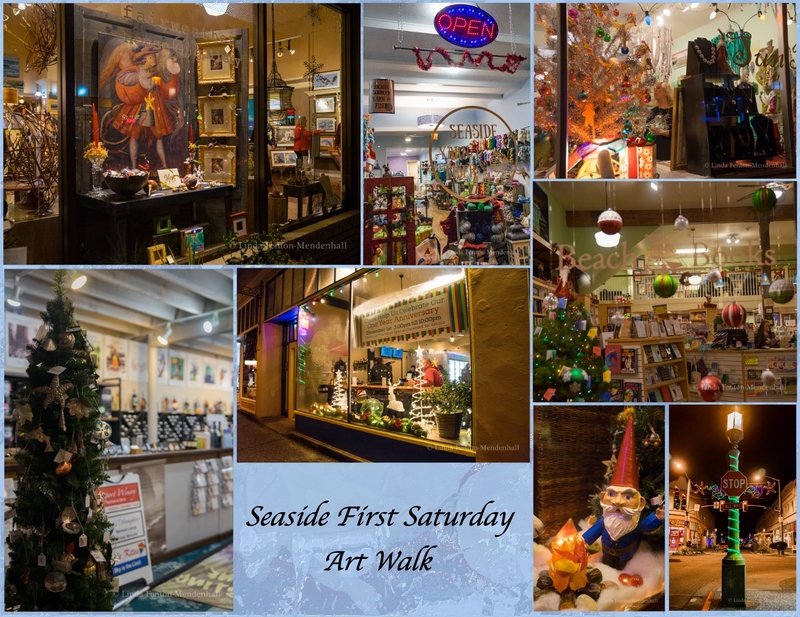 Celebrating 12 years in 2016, the next Seaside First Saturday Art Walk, will be held on March 5th, 5-7: pm. The event is all about selling art. Visitors meet artists, sip wine or snag appetizers by favorite restaurants or personal chefs, at times, view an artist demonstration and, oftentimes, enjoy live performances in music. 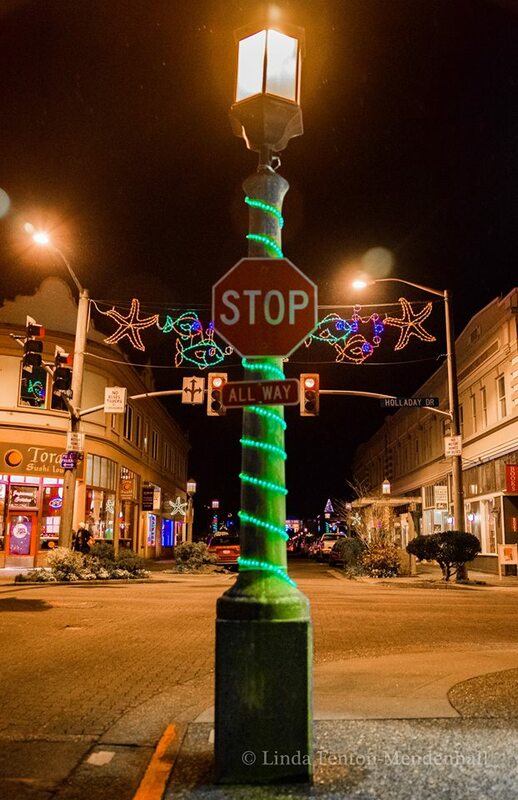 The affairs are free and are all about raising awareness for the cultural arts in businesses, shops, boutiques and dining establishments located between Holladay and Broadway in the historic Gilbert District of downtown Seaside. The Green Cab, (a group of artists inspired by the influential BlueRider artist group (Der Blaue Reiter) of Europe in the early 20th century,) was created with the goal of encouraging and inspiring each other, sharing techniques and information about the business side of art, and sharing our work with the public. 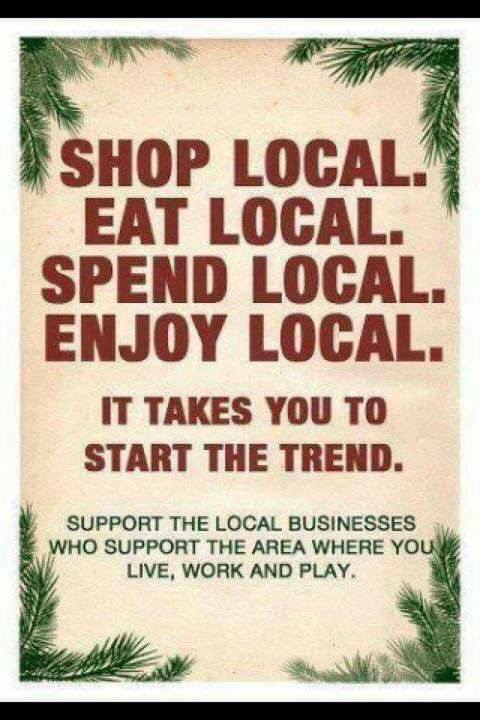 The “Cabbies” are a synergistic alliance of artists, working in a variety of mediums. 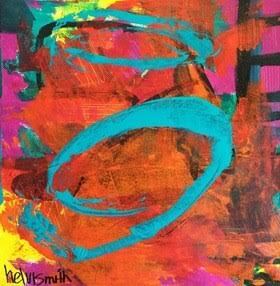 Helvi Smith, founder of the Green cabbies, paints every day. Color never scares her. She is a fearless, self-taught painter. Bruce Ulrich believes that all art is an abstraction, and painting is, at its core, colored marks on a flat surface. Painting is a way of investigating different styles and uses of abstraction to explore landscapes, objects, colors and textures. Penny Forrest uses art as an invitation to slow down, look around, and appreciate the beauty that surrounds us daily in our busy and cluttered lives. Jim Zaleski combines the traditional art forms of painting and drawing with the high tech computer world to produce colorful and exciting art that is full of vibrant colors and loaded with whimsy. 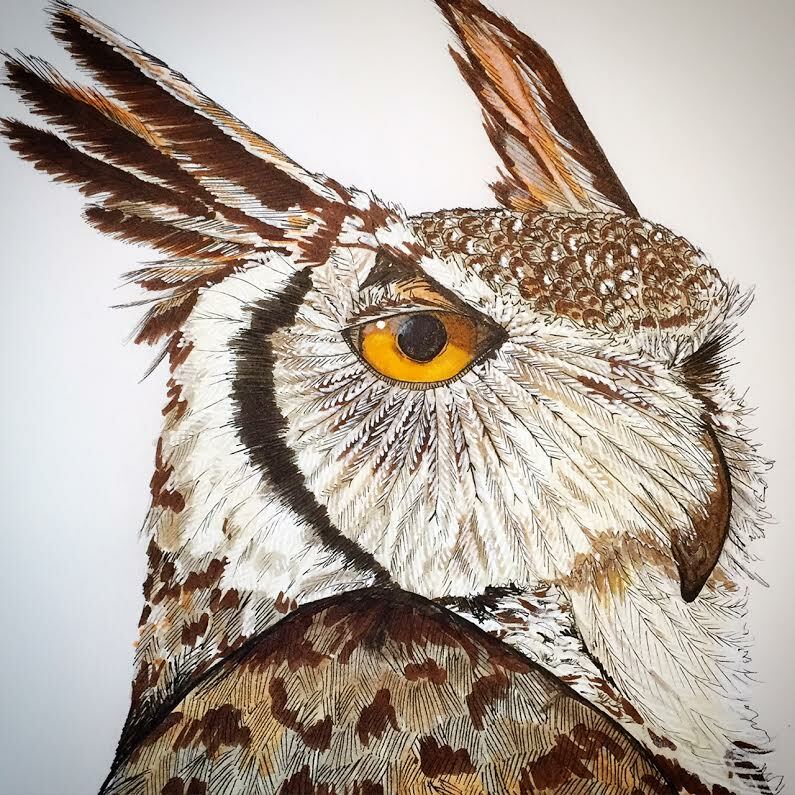 Jeff Hall enjoys using re-purposed materials in his art making process. His surface building explores real and imagined space, while leaving room for the viewer’s own interpretation and experience. Barbara Martin comes from a line of story tellers and herbalists and the product of an internationally nomadic life. An Oregon artist who channels the primordial through her art, calling us home to our most ancient roots of time and place. Anne E. Brown paints on wooden panels: loving the way the brush and the paint feels when they touch the surface of the panel, letting some of the wood show through. Elina Zebergs’s art is as varied as her interests. 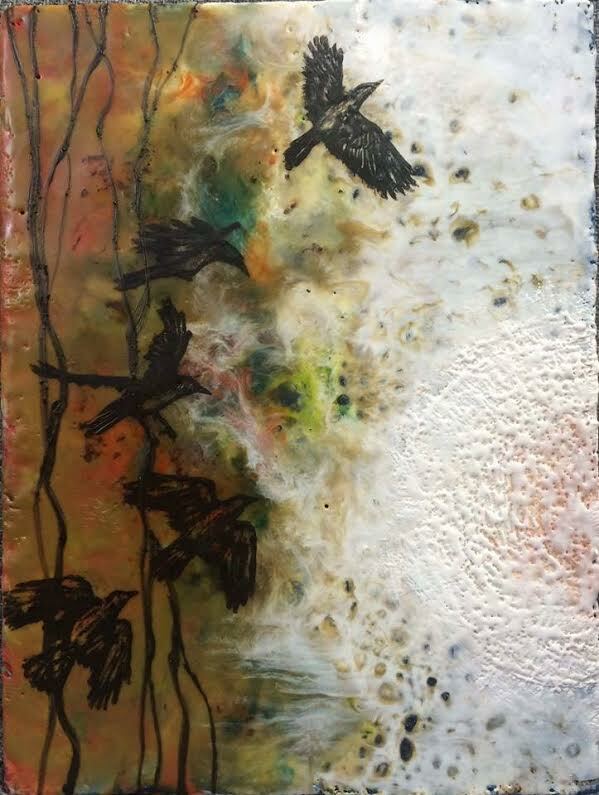 She works in a variety of mediums, including acrylics and encaustic (wax) painting. She is also an accomplished muralist. Celebrates its 10th anniversary with an opening reception for an exhibition titled Above and Beyond, offers insightful, timely and relevant works of art about the spring season. 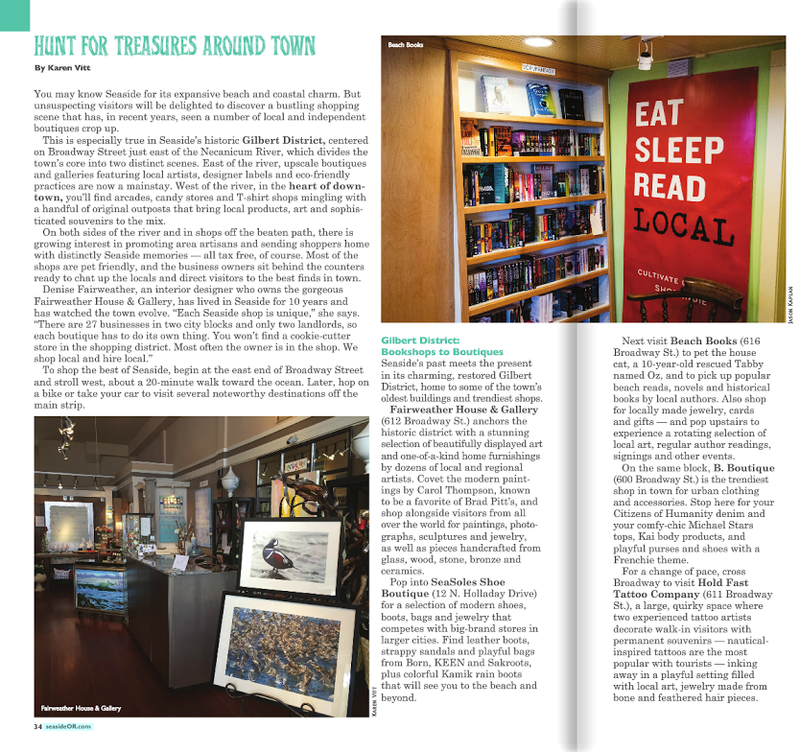 Regional artists, selected, basically, to acknowledge the coastal flyway habitats and to awaken our senses to nature from the ground up. 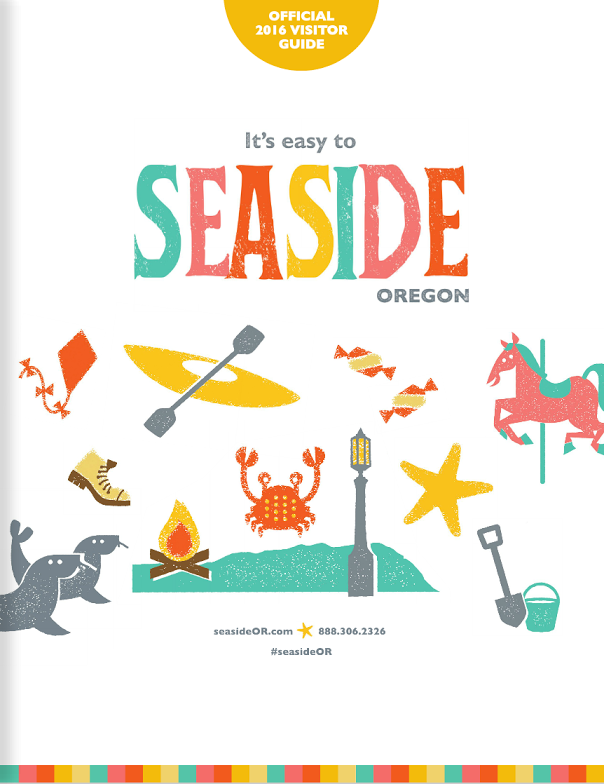 Britney Drumheller, Cannon Beach resident, along with Abbas Atwi, offers art that functions as symbolic expressions relating to the value people attach to the North coastal tidelands and its marine life. 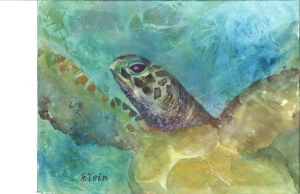 Art by Kathryn Delany includes many diverse aspects of life, challenging a viewer’s horizons and viewpoint of the world. 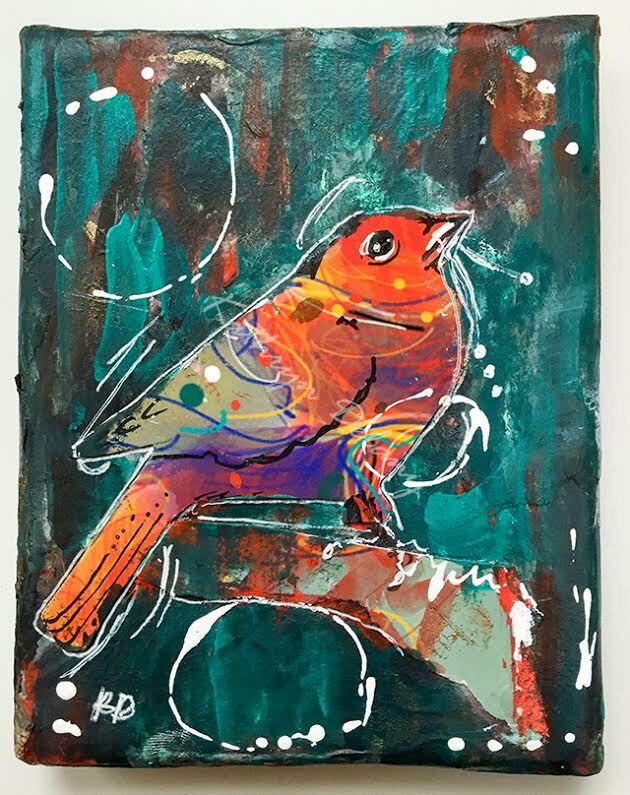 Delany explores the art of birds and mixed media inspired by the passing of the winter solstice. Rosemary Klein works in the realm of visionary truths. Yet, as a former journalist and reference librarian, it’s sometimes hard for the artist to let of to the literal and venture into the more intuitive dimension of “what if?” Klein’s featured art is found in the beyond if one could see below the sea. 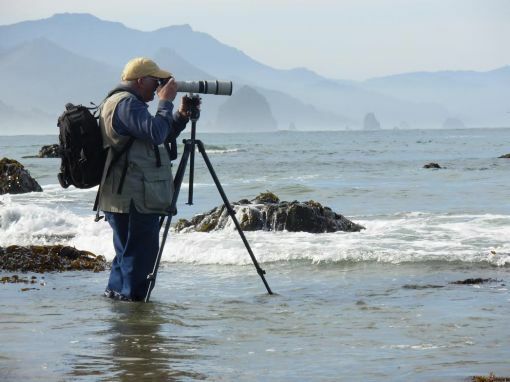 Seaside/ Gearhart naturalist Neal Maine will reveal his latest natural history photo journal, as well as providing lecture at 6:00pm about what is above and beyond “the coastal edge”. 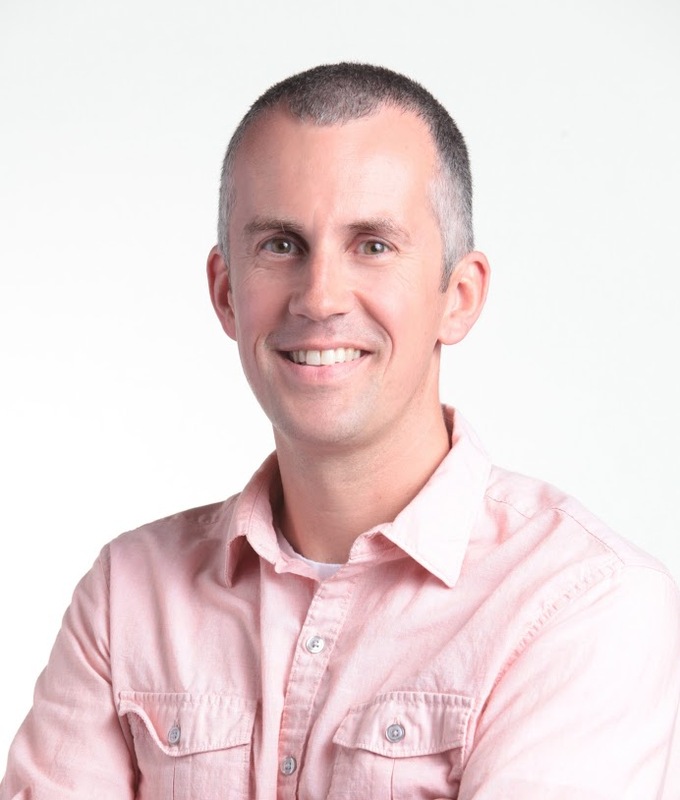 Special guest Joshua Saranpaa, Executive Director of the Wildlife Center of the North Coast, will speak about promoting compassion, empathy and respect for all life. 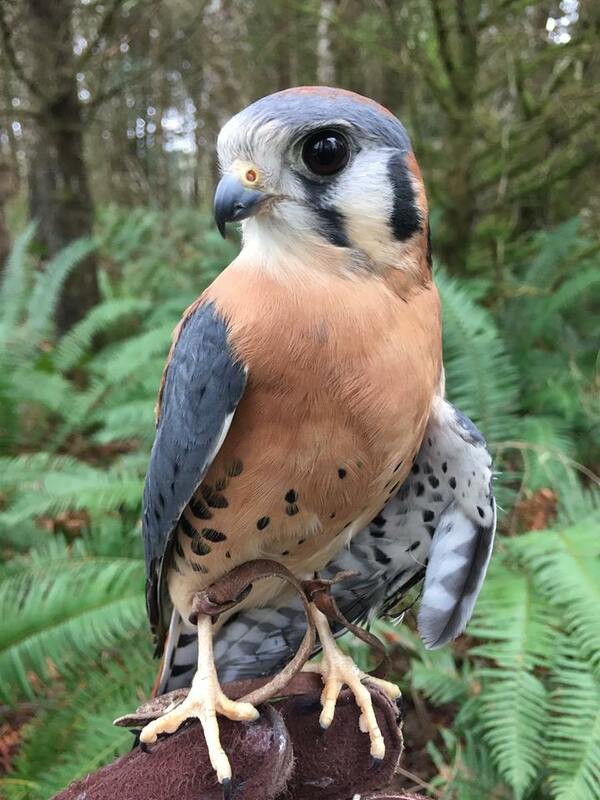 Flynn, the ever dashing American Kestrel, visits. “WCNC” is a volunteer based non-profit Oregon corporation with IRS 501(c)(3) tax exempt status, whose mission is to rehabilitate injured, sick, orphaned and displaced native wildlife with the goal of releasing healthy, viable wildlife back into the appropriate habitat. Operating under permits issued by the Oregon Department of Fish & Wildlife and the US Fish & Wildlife Service. Light refreshments. 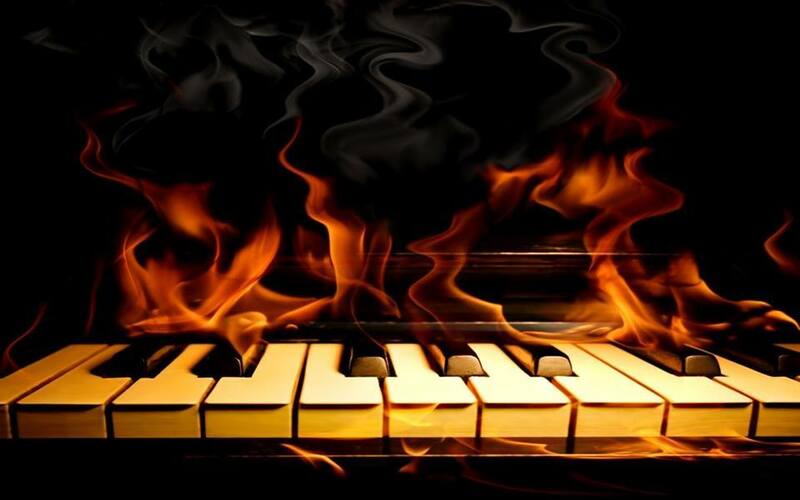 wine tasting and live music by Shirley 88 will be offered. 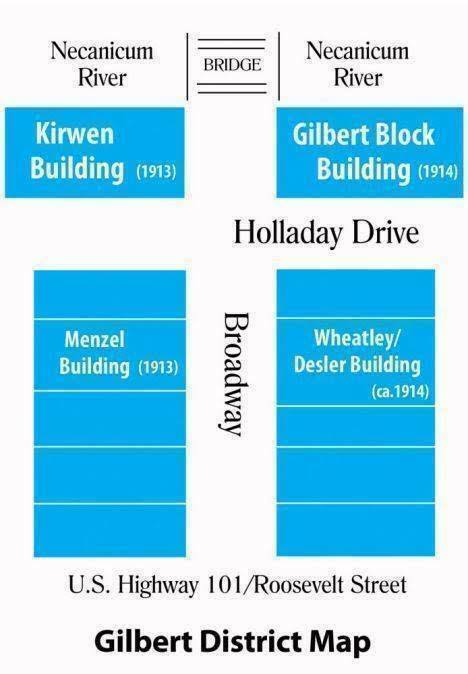 Complimentary parking for the historic Gilbert District is on the corner of Holloday and Oceanway.